Around 950 AD, Maori legend tells us that Chief Kupe first arrived in New Zealand. He travelled from Hawaiki in a canoe called the Maataa-hourua. He is said to have landed near Wellington in a place called Whanganui-a-tara and when he first spotted the land he said, "He ao, he aotea he aotearoa" (It is a cloud ..a white cloud .. a long white cloud). Later around 1150 AD Toi and Whatonga followed Chief Kupe to aotearoa (New Zealand). However it wasn't until around 1350 AD that the great fleets of Maori arrived. The real or exact reason as to why the Maori people came to New Zealand is still unknown. There are many theories on hte matter, one of which is that their home had become overcrowed and shortages of food and space forced many people to take to the seas in search of new land. On first arriving to New Zealand, the Maori found that the place lacked mammals for hunting and eating (there are no Native mammals to New Zealand except for bats and marine mammals). They survived by eating birds, sea food, rats and the dogs which travelled to New Zealand with them. They managed to frow Kumara, taro and yams. There is also cases of cannibalism which took place. This was not only a food source but also to rid them of their enemies. Wars between tribes was commonplace. Fighting usually took place over territory. Moari warriors were fierce in battle and the fate of their enemies, when captured, usually involved being eaten or having their heads shurk as trophies. 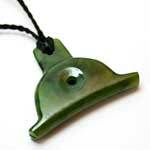 Each Maori tribe (iwi) consists of a Hapu (sub tribe) and a whanau (extended family). Tribal meetings take place in a Marae which consists of a meeting place (Whare hui) a dining room (whare kai) and a courtyard where many of the speeches are given. 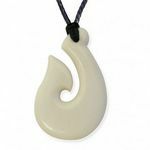 The maori people used stone, bone and wood to make weapons and tools. 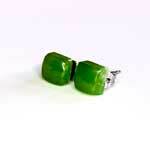 Once discoverd, Greenstone (Pounamu) became their most valued material. 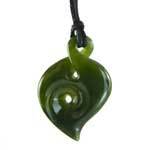 The maori would endure long journeys to the West coast and Southern Alps in order to collect greenstone. Tane-mahuta created the first women out of earth called Hine-ahu-one the offspring of these two were demigods and one of their descendants was named Maui. Maui lived in Hawaiki and being the last born in his family he was of a low rank, but he made up for this in his resourcefulness. One day Maui smuggled himself on board the canoe of his brothers, when they found out he was onboard they wanted to return home but they were to far out to sea so they continued to fish. Maui's brothers quickley filled up the canoe with fish upon this Maui pulled out his own fishing hook which was made from a piece of his grandmothers jaw. He then proceded to dropped his line into the water and immediately hooked a huge fish which Maui stuggled to land. After a long fight he managed to pull it up, the sun then rose and baked the fish solid. This fish was given the name Te-Ika-a-maui (the fish of Maui) or commonly known as the North Island. The South Island was given the name Te Waka a Maui (the waka of Maui) and Stewart Island Te punga a Maui (Maui's anchor), the Kaikoura penisular was the seat of the canoe. Visitors to New Zealand should make some time to visit a Marae and there are plenty scattered throughout New Zealand. Aotearoa (land of the long white cloud): New Zealand. Haka: Chant with dance for the purpose of challenge. Pakeha: New Zealanders of European origin. Tapu: sacred, not to be touched. Dutch explorer Able Tasman was the first European to visit New Zealand in 1642, he never set foot on land though. While mapping the west coast of the South Island he was attacked by Maori while anchoring in Golden Bay, which he named Murderers Bay. Purhaps news of this around Europe put off further explorations to New Zealand as it wasnt until the 6th of October 1769 that Captain Cook onboard his ship the endevour arrived in New Zealand. It was a 12 year old boy called Nicholas Young that has been credited with the first sighting of land which is now called "Young Nicks Head". The next day Cook landed at a river mouth and was met by the local Maori, he tried to trade with them but the Maori were uninterested and were suspicious of the strange ship and pale crew. Cook thought the Maori were about to attack him and his crew so he open fire and killed several Maori. Cook then returned to the Endeavour and named the bay Poverty Bay. He then headed south but on finding no shelter he procedded to head back north. He found several good habours and had better luck trading with the Maori. One such place where the Maori impressed Cook with their produce and willingness to trade was what he named the Bay of Plenty. After rounding around the top of New Zealand he then procedded to head down and chart the west coast. The months to follow Cook continued to chart and sail around the entire coast of New Zealand. Sealers, whalers and missionaries were the reason for the first European settlements during the early 19th century. Following the signing of the treaty of Waitangi in 1840 when British sovereignty was proclaimed over New Zealand Europeans begain to arrive in large numbers. Land was then brought from the Maori at ridiculously low prices and Maori had little say in the running of the country and their customs and traditions were undermined. This cause tensions between the European and the native Maori's and a series of battles occured during the 1860's which are known as the New Zealand land wars. ~950 AD - First Polynesian settlers arrive, Chief Kupe being the first. 1642 - Abel Tasman the first European to discover New Zealand arrives but dosn't set foot on land. 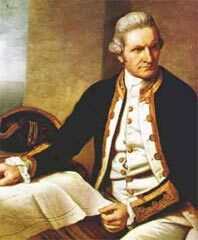 1769 - Captain James Cook onboard the Endeavour explores and lands on New Zealand. 1814 - Anglican mission stations are extablished by Samual Marsden. 1840 - Treaty of Waitangi is signed and New Zealand becomes a dependency of New South Wales. 1841 - New Zealand becomes independant of New South Wales. 1860's - Land wars between Maori and European settlers. 1870 - First Rugby game in New Zealand and also the end of the land wars. 1886 - Tarawera volcano erupts - destroying the pink and white terraces which were known as the 8th wonder of the world. 1893 - Women were given the vote, New Zealand becoming the first place in the world were women could vote. 1907 - New Zealand granted Dominion status.